The WSSA's yearly attempt at breaking a Guinness World Record - Over 600,000 Stackers! We believe in developing and preparing our youth for a strong and productive future. Many of the character building essentials like Teamwork, Self-Confidence, Perseverance, and Dedication are emphasized in this sport. This is why we are committed to nurturing and supporting the continued development of this exciting sport across Canada. Speed Stacks is the worldwide leader in Sport Stacking. We are an international company with operations in 54 countries and programs in over 44,835 schools and organizations. Sport Stacking is an amazing sport of fitness, agility, concentration and quickness. 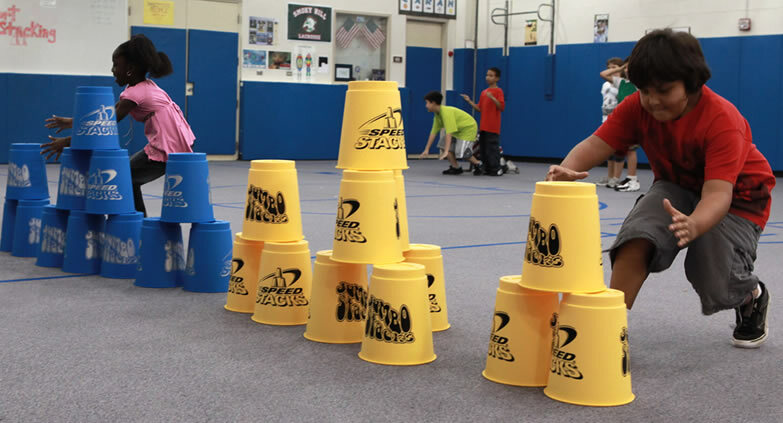 Thousands of teachers, administrators, and parents along with millions of kids have experienced the benefits of Sport Stacking. Become part of the movement! See the latest Sport Stacking gear with the biggest selection and best prices.